Thought juice cleanses were just for hippies and vegans who like to brag about what they don’t eat? Not anymore! Juice cleanses are amazing, not only for the nutritional values but because anyone can do it! With all the toxins in today’s world, it’s nice to know that something can help your body reset and start fresh. Keep reading for some awesome ways a juice cleanse can boost your health! When you start a juice cleanse, your stomach gets a nice break from trying to extract nutrients from unhealthy foods. Juices require less of your stomach’s digestive processes. There are millions of people who are on acid-suppressing drugs and even people who don’t even produce enough stomach acid. So, when you drink juice, your stomach doesn’t have to work so hard. So much of our foods are toxic these days and are full of saturated fats, unnecessary additives, pesticides, and refined carbs. Pair that with all of the medications we take and the stress of life today, and your intestine can start to get out of whack! Consuming a nutrient dense plant-based juice diet in a rainbow of options allows food to be assimilated quickly through the intestine. A juice cleanse can boost your health simply because it takes less energy and the toxin-free nutrients repair your sick gut! We are sure you’re well aware that your liver is the main organ responsible for detoxifying anything you put in your body. Every single molecule of food that is absorbed in your intestinal wall moves to the liver before being allowed to spread through the rest of the body. Most of the time though, there are too many toxins for our livers to handle. Which means poisons enter the rest of the circulation process unchecked by the liver and starts havoc. An organic juice cleanse, however, gives your liver a much-needed rest from sorting through all that toxic stuff. 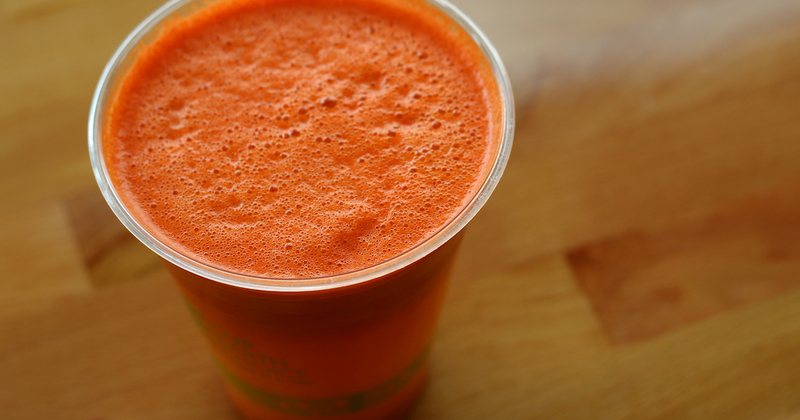 Despite what you might have heard, juice cleanses don’t actually shrink your stomach. But juicing eliminates the habit of comfort eating, and makes you feel much more satisfied, even though you’re eating less. This gives you that feeling of a smaller stomach, and gives your mental state of boost so that you can get used to changing your typically eating habits! No more debates and head-scratching over whats for lunch or dinner! Juicing is pretty focused – you get fresh whole food produce every few hours. You feel satisfied, you don’t have to think about what your next meal is today, and you don’t have to be a slave to your cravings for junk food! Juice cleanses are great because it eliminates wheat, dairy, gluten, alcohol, and caffeine from our diet. Most people are pretty numb to what they eat, which means they are used to feeling groggy and sluggish. When you stop eating what’s bad for you for a while and then reintroduce them, your body more easily recognizes what foods it doesn’t process well. Like when you’ve always been able to eat loads of bread, and then after your cleanse, your body doesn’t feel good after you’ve had it. A juice cleanse puts your body back in check. This one is kind of a no-brainer. Fruits and veggies are loaded with great vitamins and minerals our bodies desperately need. But more importantly, they contain phytonutrients, which are basically powerhouses for the healing process. Juices contain raw foods, and therefore they retain nutrients that would otherwise be lost by cooking them. When you drink organic juices, you get those digestive and anti-inflammatory enzymes that are so vital to health. It’s true. 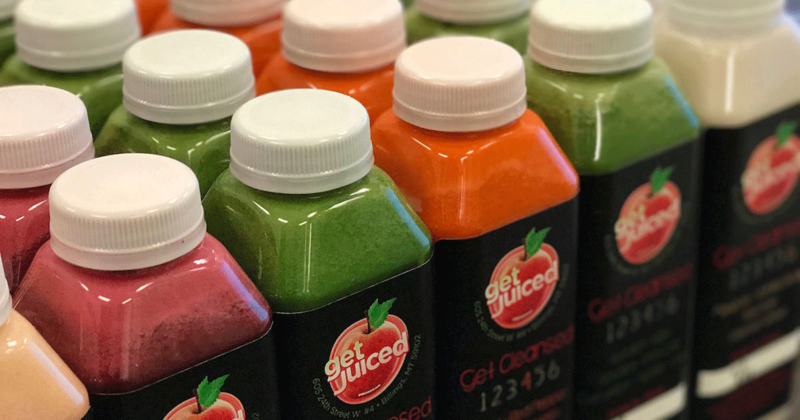 Sticking to a quality juice cleanse is a great way to jumpstart a diet because it helps control your appetite and cravings. It’s also naturally lower in calories than full-on meals and supplies your body with energizing and healing nutrients that it doesn’t normally see on a day to day basis. Naturally, you will start to feel better, and if you keep up these healthy habits, you will most likely start to lose weight. We are sure most diet fads and gyms promise that you will have more energy than you’ve ever had! 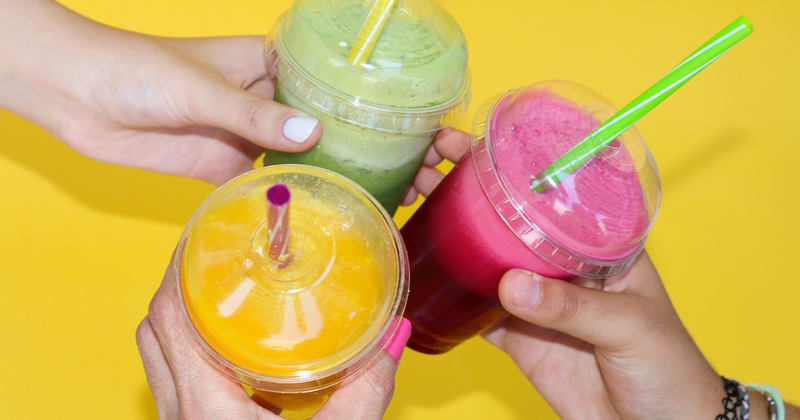 But consuming a nutrient-rich juice cleanse really does give you more energy than any caffeine product would, and juice doesn’t have any added toxins that could give you a crash. After your first day’s adjustment period, you’ll stop missing the coffee and mid-morning crunchy snacks and just feel better. Probably one of the best ways a juice cleanse can boost your mood is by rehydrating you. Nearly 75% of Americans do not drink enough water in a day, and the Institute of Medicine basically declared that we are all suffering from a chronic state of dehydration. When you drink enough healthy fluids, your body functions much more efficiently, you have more energy, and you can flush toxins quicker and easier. What most people don’t realize about juice cleanses is that they actually cleanse you! Your chronic headaches, aches and pains, bloating – all those things start to go away when you start treating your body right. Coupled with the lack of sleep, the stress, and inactivity of our life, our bodies have a hard time fighting off the things we do to it. 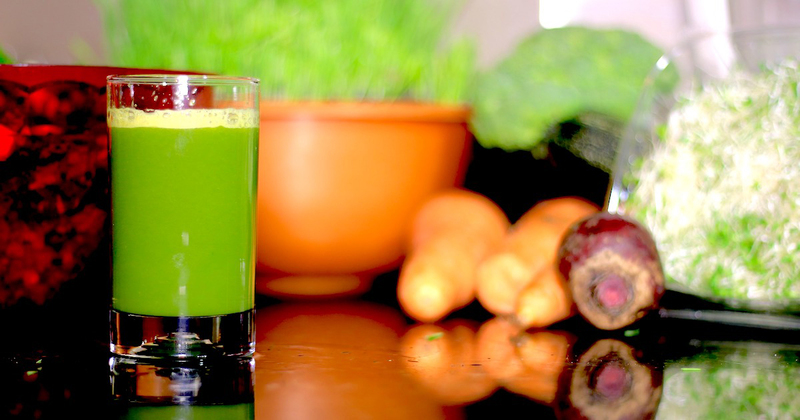 Juice cleanses give it a well-deserved break and give it nutrients it needs to heal. Our bodies naturally have a detox process, thank heavens. But in order for that to work properly, you need a broad range of plant-supplied nutrients (think antioxidants and anti-inflammatories). Juices give your body everything it needs to support the detox process and help to remove the toxins that have been stored in your body for maybe your whole life! 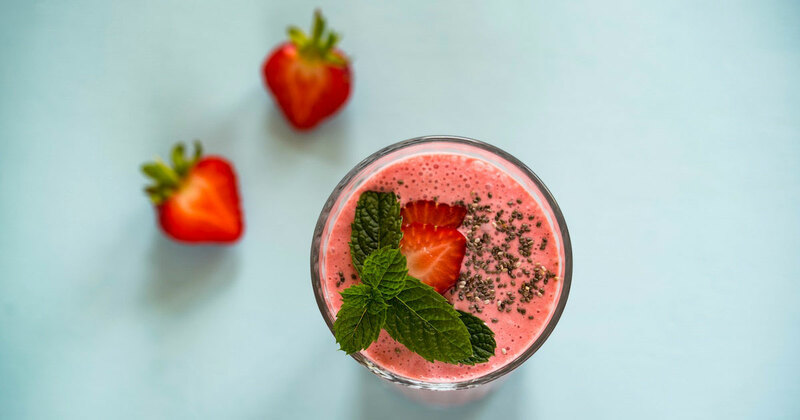 When you decided to do a cleanse and then ultimately switch to a mostly plant-based diet, your body’s cells can do their best work in reestablishing its natural workflow of creating energy and fighting infections and other things. When we clean up our diet, our DNA can function properly, and in return, we feel better, are less sick, and can live our lives to the fullest! Now You Can Well Pared! Now you know all the amazing ways a juice cleanse can boost your health. We thought we would remind you though, that juicing isn’t for everyone. There are certain risks involved, especially to those who are pregnant, underweight, diabetic or those who have heart conditions. Check with your healthcare provider if you are worried about doing a juice cleanse! Think you’re ready for a healthier lifestyle? Get to it! Whether you juice at home or come into our store for a cleanse or your daily favorite juice, we are proud of you for taking that step! Feel free to check out our juicing FAQ’s on how a juice cleanse can boost your health or contact us if you have any other questions!